GITANO Garden of Love hosts special events that transport guests from the urban to the tropical. A dramatic runaway lined with 30' coconut palms and lush tropical plants thoughtfully landscaped throughout. The space marries exceptional design, modern Mexican cuisine cooked on an open fire and special Mezcal cocktails with retail, wellness, philanthropy and art to create a thriving ecosystem. The Main Dining Bar is includes a dramatic 360 degree black Monterey marble bar and 30” disco ball. 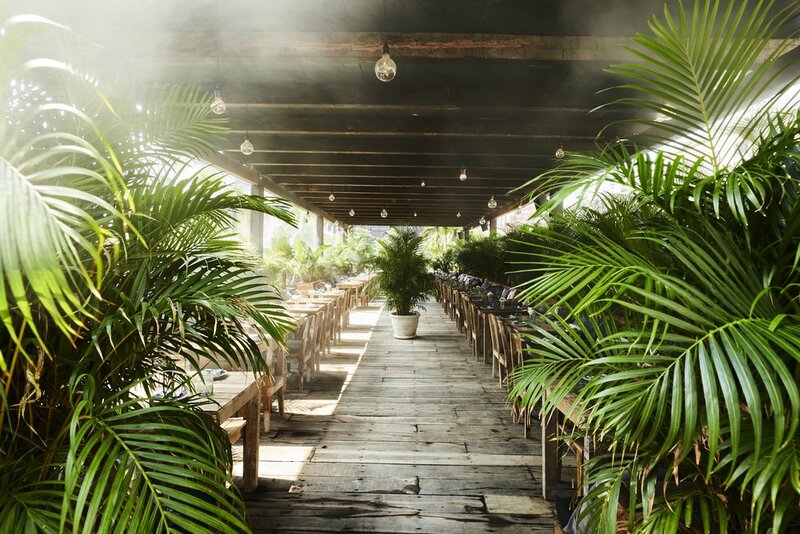 Around the outer edge are tropical plants, concrete banquets with lush pillows and tables seating up to 110 guests. Twin Dining Decks are covered by wood pergolas and surrounded by tropical plants. The Grill Deck has a view of the open kitchen and chefs table seating up to 120. The West Deck seats up to 120 for dinner or private parties up to 200 standing. Grill Dining Deck, located on by the open kitchen includes Chefs Table seating 16 people, and up 120 for dinner. West Dining Deck, on the Varick Street side of the property seats up to 120 for dinner and 200 for private events. 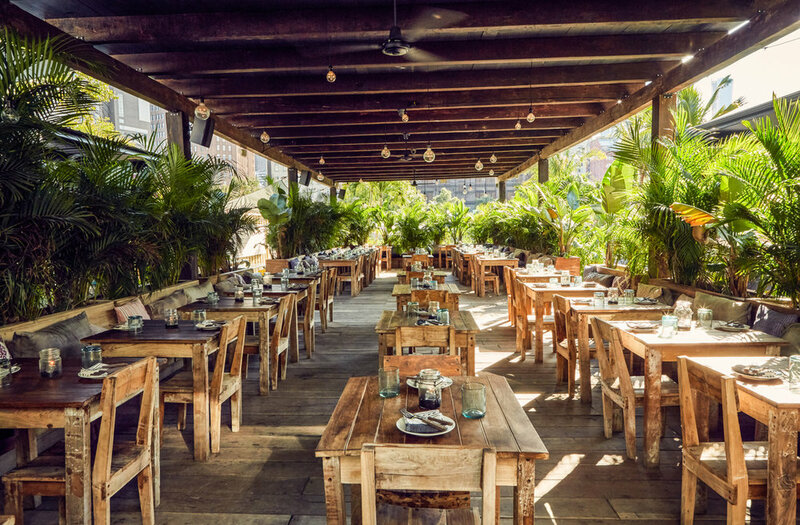 The Outer Lounge wraps all the way around the main tent, with custom made-in-Tulum heavy wooden benches, pillows, Monterey marble tables, wooden stools, umbrellas and a Yucatan artisans lounge set in the front. Partnerships with neighborhood businesses and schools place an emphasis on sustainability, lending a community element to the already dynamic offering. Open for a limited time during the summer season, GITANO is an ephemeral foundation for memorable experiences.